New Black bow Fold Cummerbunds Female Woman Belt zipper cummerbund wide Women's Belts punk rivet Fashion dress waistbands lady. 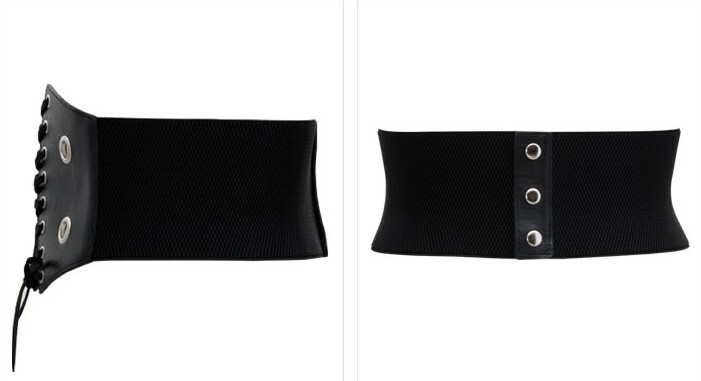 Belt Size: it is about 66cm length, but it is elastic. the longest could be about 95cm length. the widest part is abouy 15cm width.